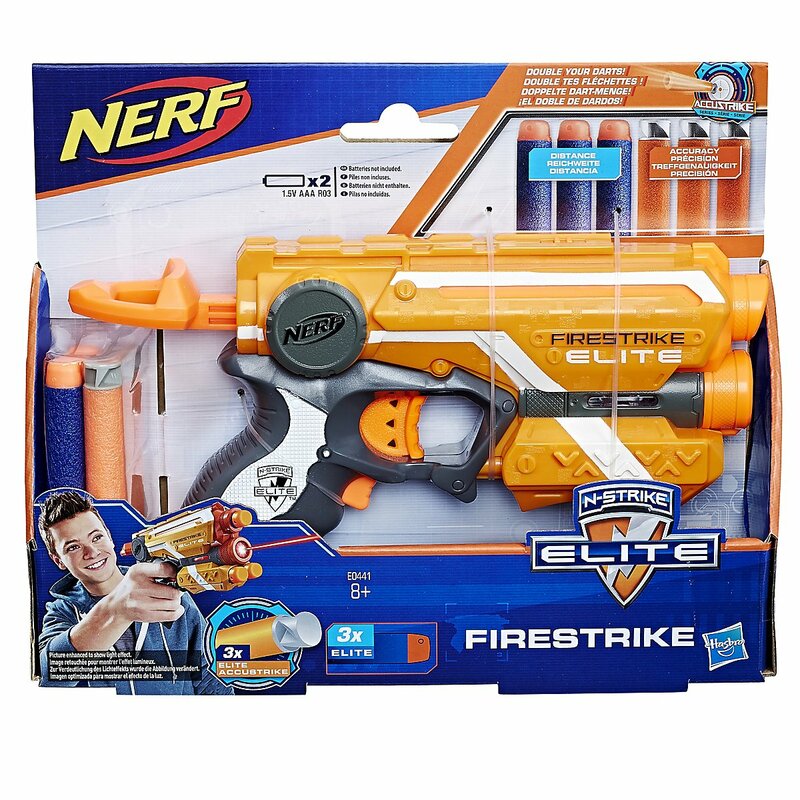 The classic with extra darts: Firestrike in bonus pack with extra darts. 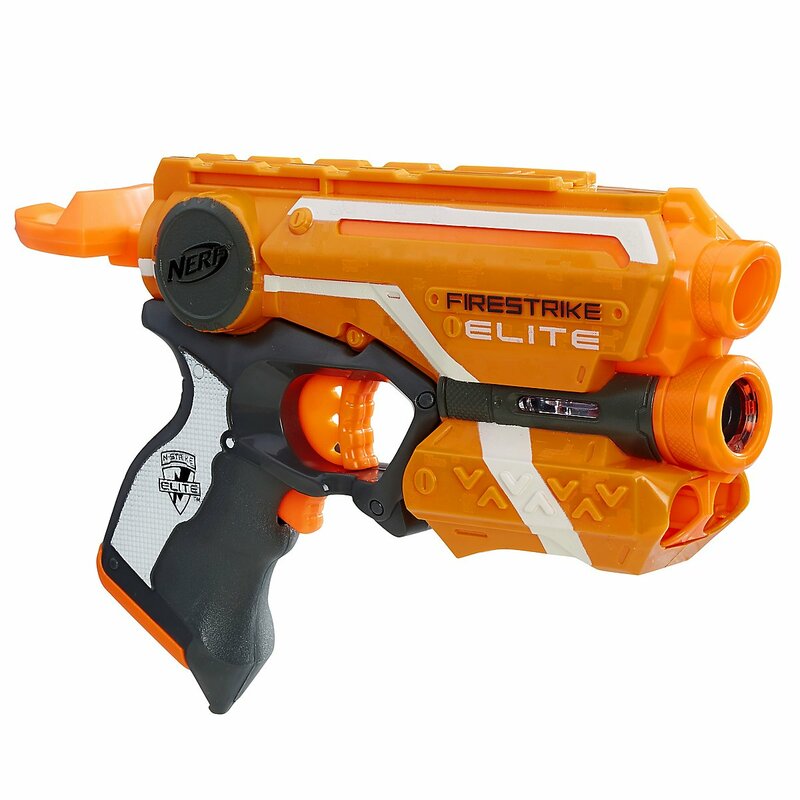 The Firestrike belonged to the first Elite-Line-Up when the series first came onto the market many years ago. At that time it was considered the successor of the Nite Finder - and offered some features of the classic "Nite Finder" from the N-Strike series: An integrated aiming aid with red LED, strong range and high potential for modding and tuning. 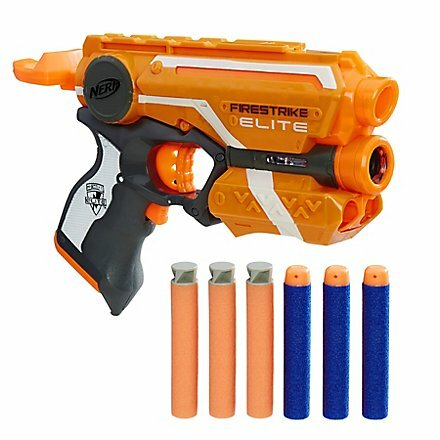 With this bonus pack the blaster becomes royalty.